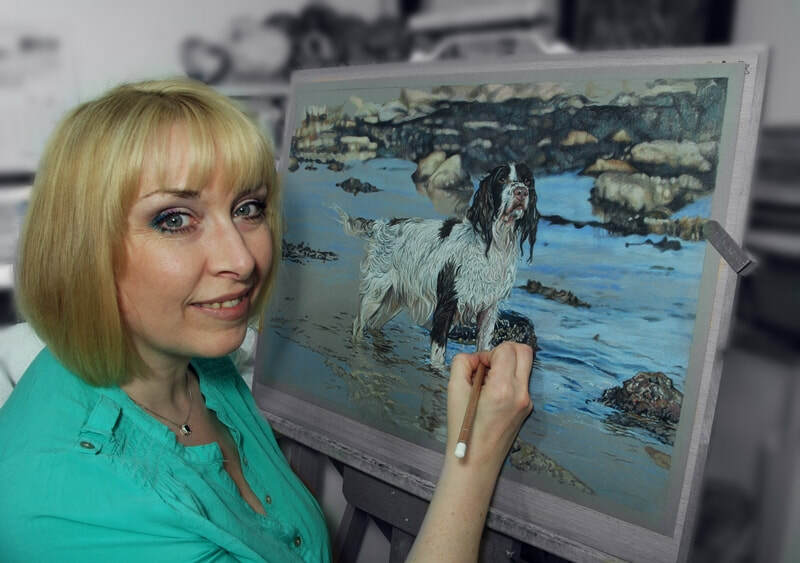 My name is Karen and I am a professional Artist creating highly detailed bespoke portraits for customers within the UK and Internationally. 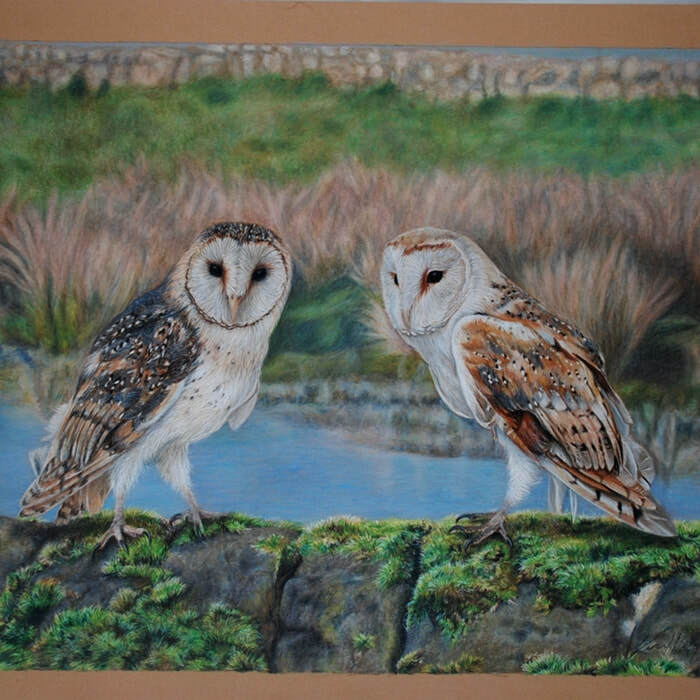 I work in both Coloured pencils and Acrylic paints alongside my partner & fellow Pet Artist John Graham, here in our home studio situated in Newbiggin by the Sea, Northumberland,UK. 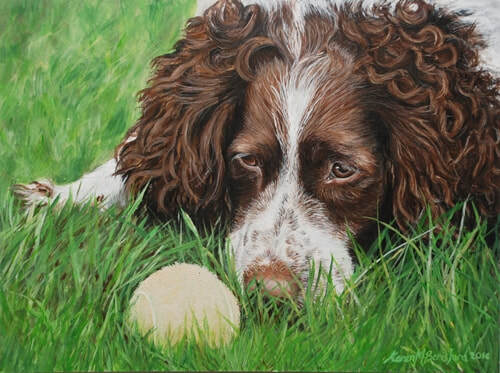 ​I have been commissioned to create detailed portraits of much loved Pets, human portraiture and Wildlife for over 20 years and have a great passion for what I do. 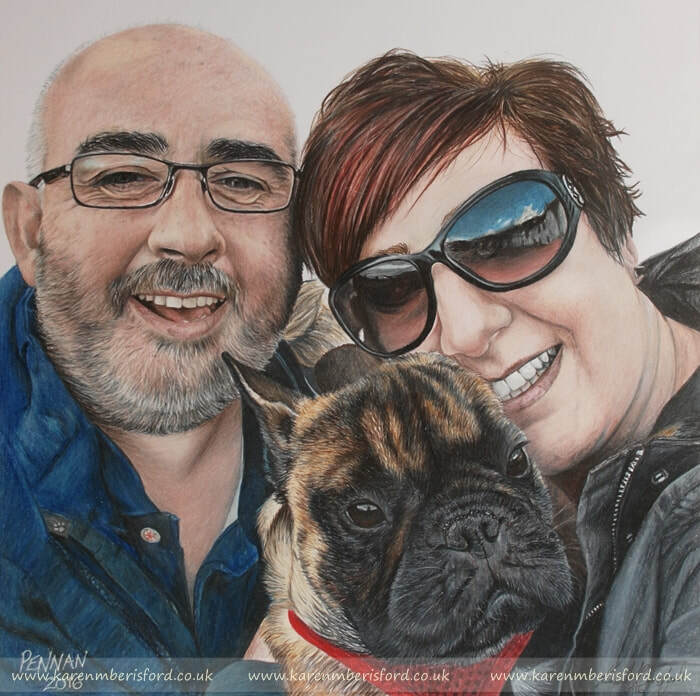 All my pet & portrait Artworks are hand drawn or hand painted by myself to ensure I capture the true spirit of the subject, working with professional quality products to ensure your portrait lasts a lifetime and beyond. ​Feel free to take a look around my website and get in touch if you have a question or wish to book your own bespoke portrait. 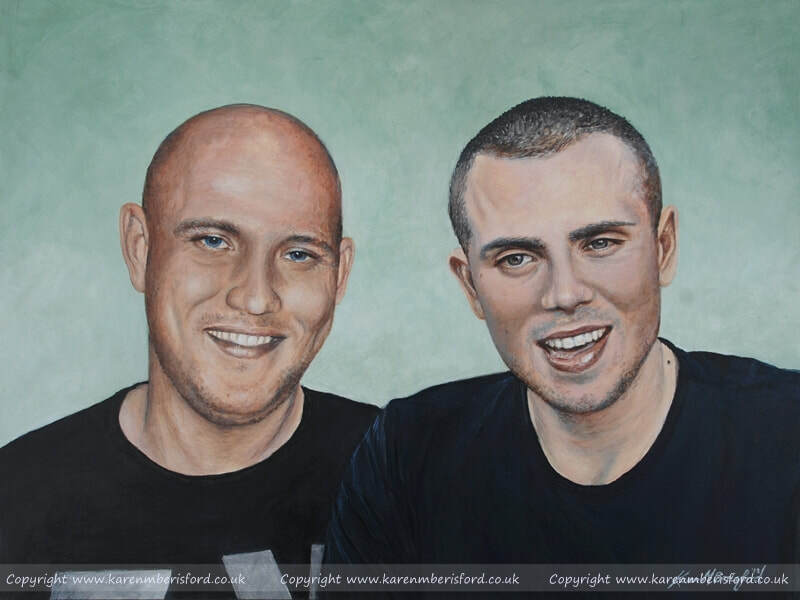 Every portrait I produce has been lovingly created over many hours using professional quality products. 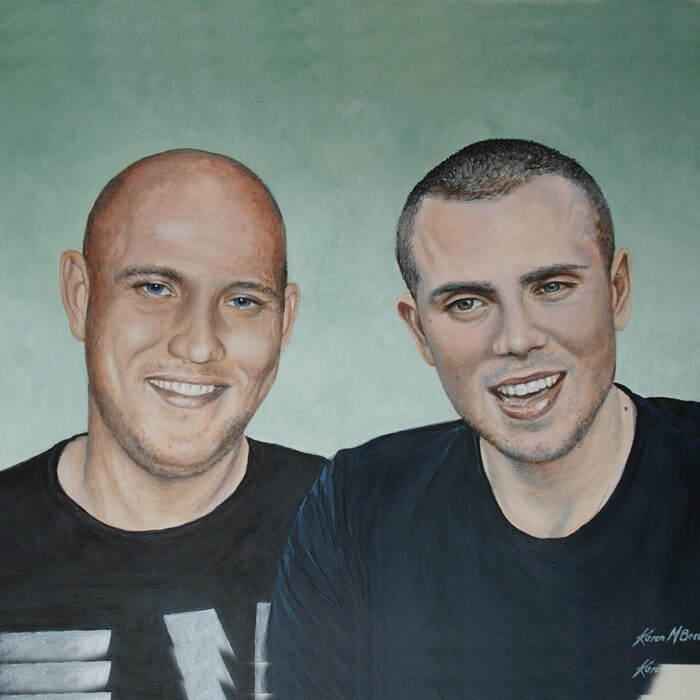 Be assured that your portrait is created to the highest standards to last a lifetime and Acrylic portraits can also be ordered fully framed. If you are thinking about booking a Commission with me and you need help with sizing, framing or choosing which photo would be suitable for your portrait, I have selected a few pages of interest, simply click on any of the images below which offers more information about your Pet, portrait or Wildlife Commission. If you prefer to get in contact with me direct, feel free, my Contact page has all the details allowing you to get in touch in whichever way is most comfortable for you. 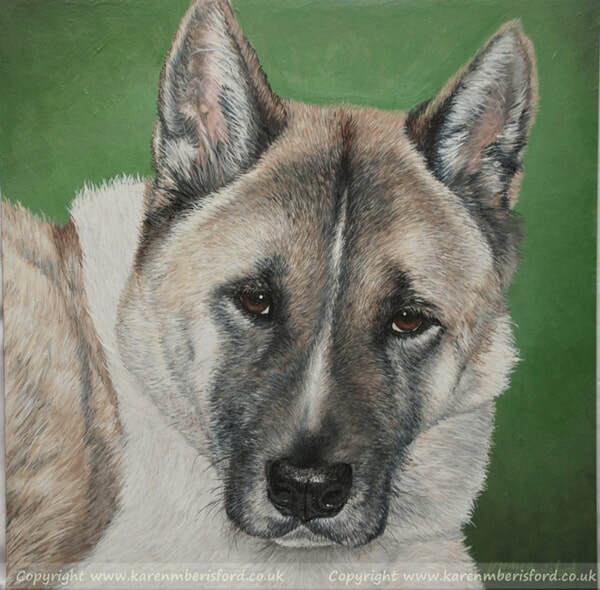 ​​Hi Karen, I just wanted you to know that I absolutely love my painting of Kita. Thank you so much, you have done the most amazing portrait of him. He was my best friend and my little boy and the painting has been hung in the living room so we can all admire him everyday! Dear Karen, The owl piece is truly magnificent! You did a beautiful job and I can't thank you enough! You are one fantastic lady and an unparalleled talent. Your ability is almost magical and I am very fortunate to have discovered such an artist. Just received the portraits. They are stunning and so lifelike. I've just left them to be framed and they will be ready for Christmas. Thanks again, you are so talented. "Hello Karen, I just received the painting. It is absolutely beautiful and arrived unscathed - Thank you so much! It will be hung on my wall with great pride. You have a god given talent that is heart felt, you make a lot of people happy so we can keep our ​beautiful babies for ever in our hearts and we can see them everyday and smile"
"Hi Karen, what can I say??? I’m speechless!!! The painting is everything I hoped it would be and more. ​We both really love it, you have captured both boys magnificently and we will treasure it always. I am mesmerised by James’s blue eyes. I can feel them looking at me. My two boys together. Thank you so so much. You have done an amazing job!" A heartfelt gift for that special someone, a gift for yourself or create your own Hearts Memorial gallery of those loved and lost. Purchase a print from our Gallery, order prints of your own bespoke Commission or request a print of one of my Artworks. Gift Vouchers are the perfect gift for those who prefer to make their own choices or as a last minute gift. 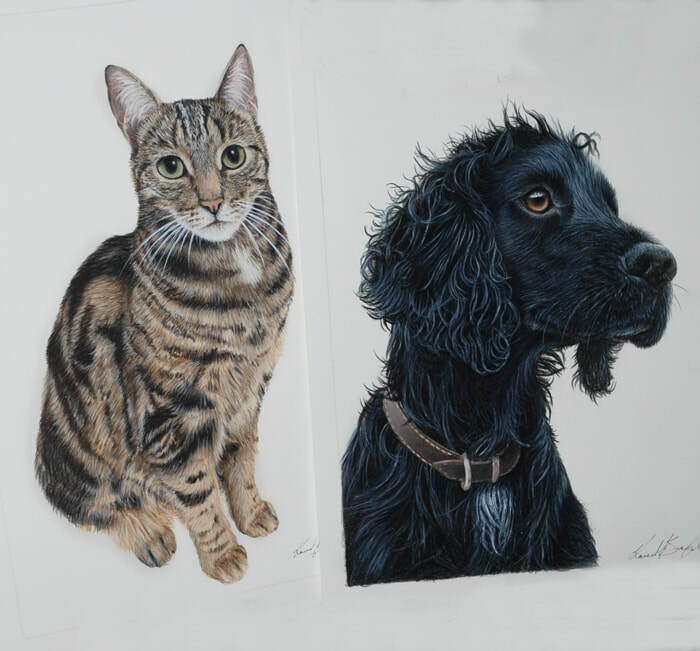 Here is a video showing how my Acrylic & Coloured pencil pet portraits are created (samples from Christmas 2017) I use high quality, lightfast products to create all my portraits using a layering process to ensure a true likeness. I accept Commissions from within the UK as well as Internationally and accept payments via Debit/Credit Card payments, UK Cheques or Cash in person if you are visiting my studio. Debit card payments via Bank Transfer or Paypal, who accept all major credit cards and Debit cards via their secure online website. I also offer an easy Payment Plan for those who may prefer to pay via monthly installments. See the COMMISSIONS page for more details. 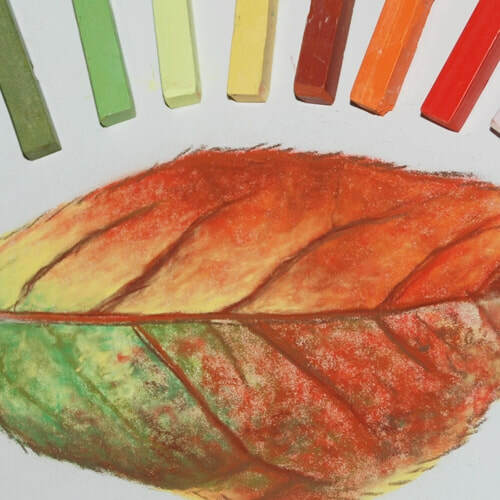 Click on any of the images above to find out more or book your place at one of my Art Workshops.